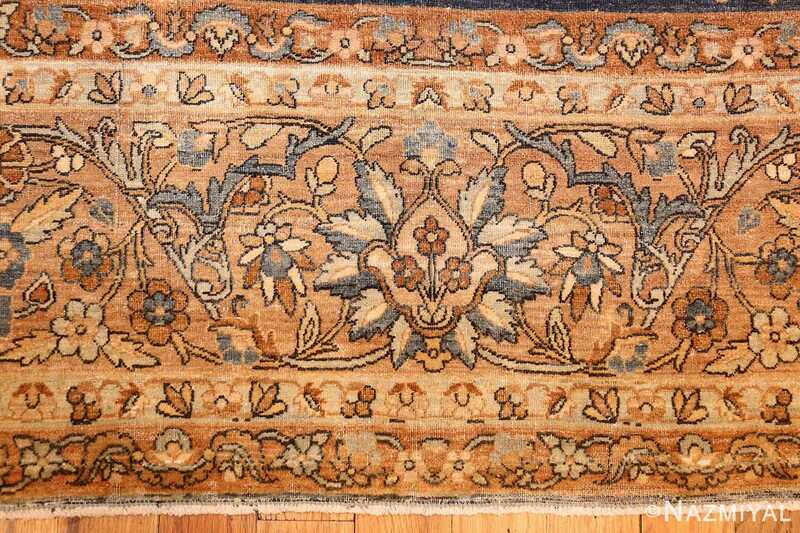 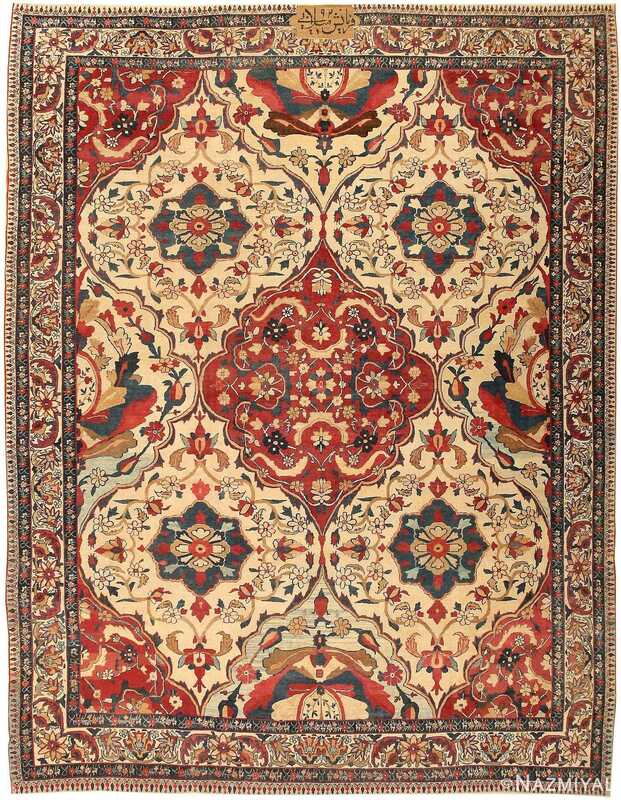 Classically composed with traditional proportions and line work, this antique Kerman carpet delights with is lovely pallet and graceful design. Antique Persian Kerman Rug, Origin: Persia, Circa: Turn of the 20th Century – Here is a truly beautiful antique rug – an antique Kerman rug that was woven in Persia around the turn of the twentieth century. 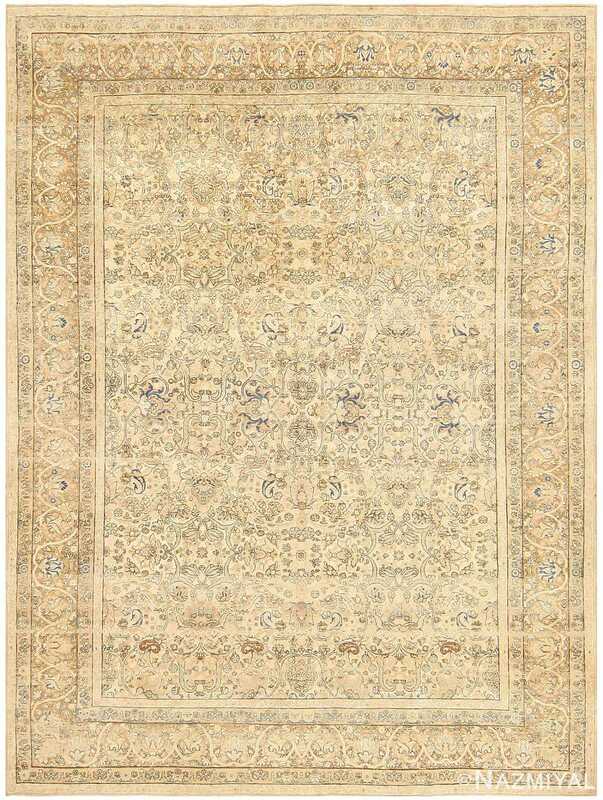 Classically composed with traditional proportions and line work, this Kerman carpet delights with is lovely pallet and graceful design. 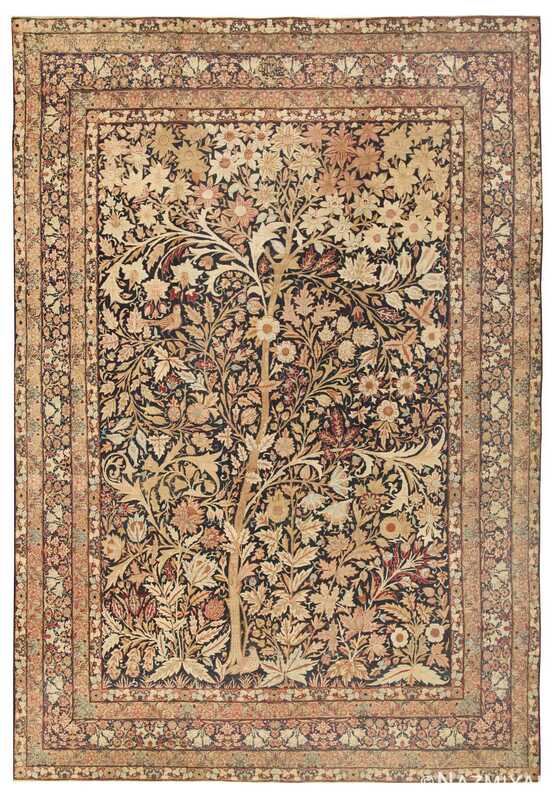 A traditional series of inner and outer borders surrounding a large primary border set the stage for this classic piece: small floral details, impeccably drawn, run through the smaller inner and outer borders, while more pronounce floral details dance throughout the primary border. 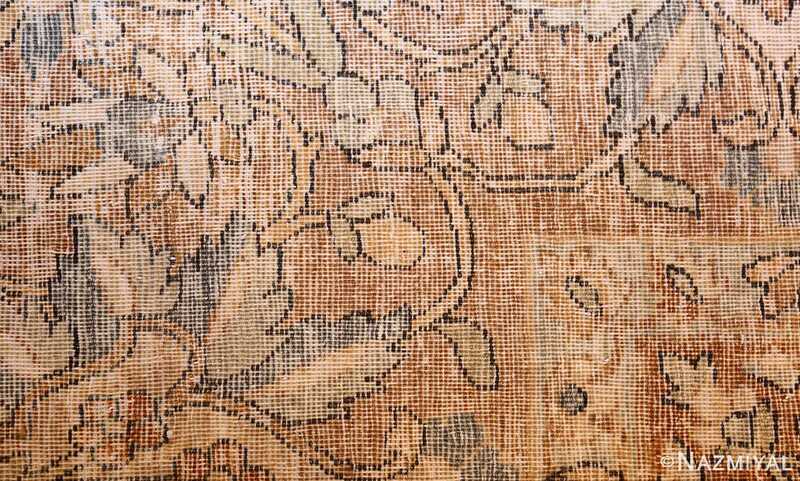 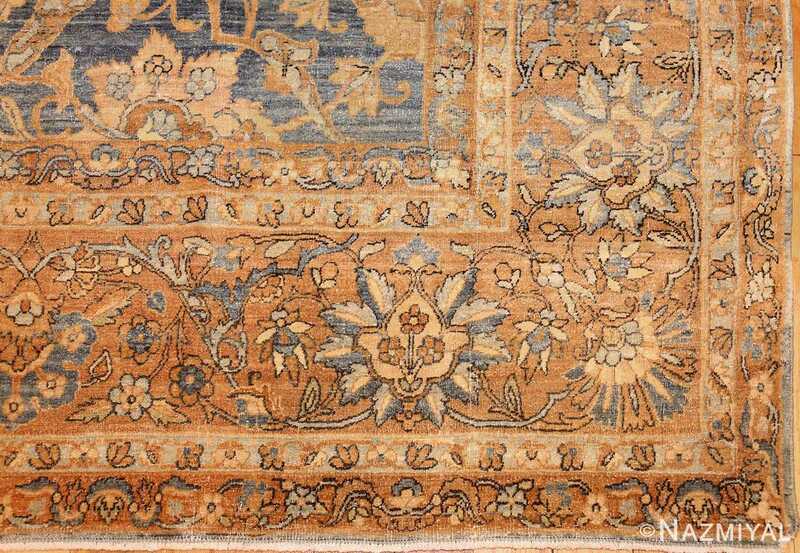 The grace and sophistication of this classical detail work is carried on within the field of this antique Persian carpet. 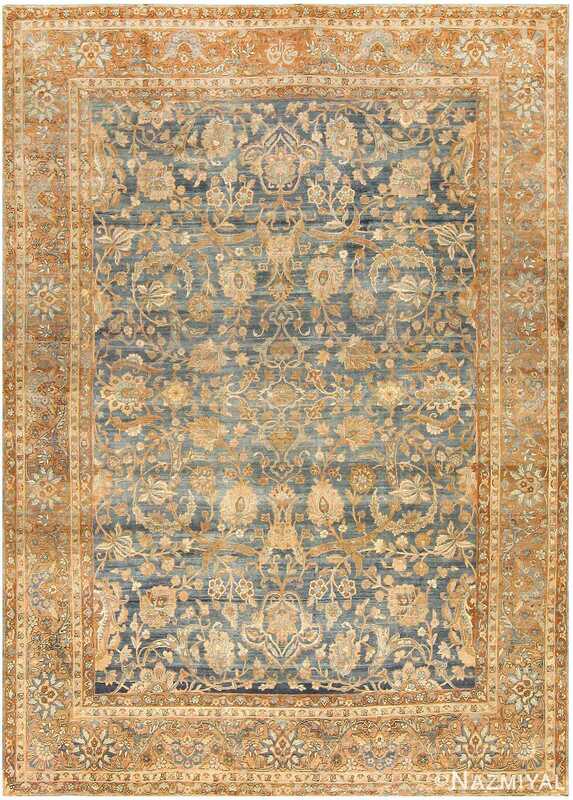 Here, set against a background color of a charming shade of blue, aged beautifully, a complex interplay of sinuous vine scrolls unfolds. 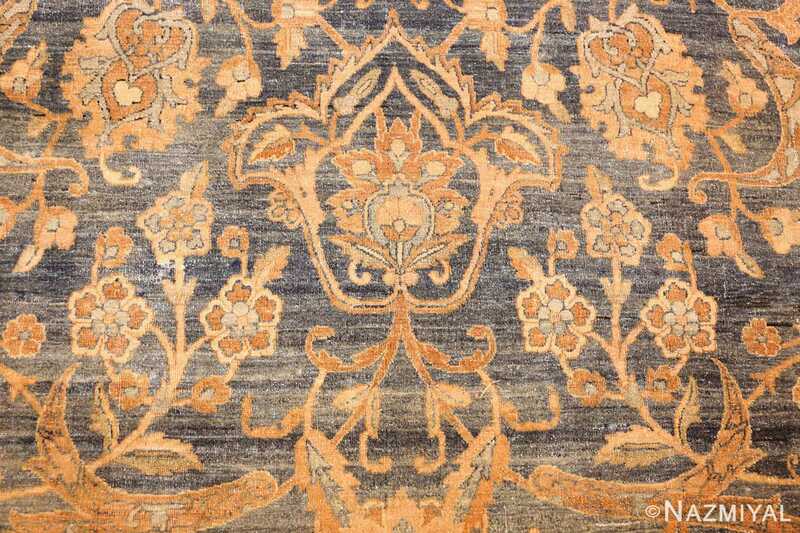 Here, elegant line work gives way to gracefully blossoming floral details, the gold tones of which offset the blue of the background in an understated and satisfying manner. 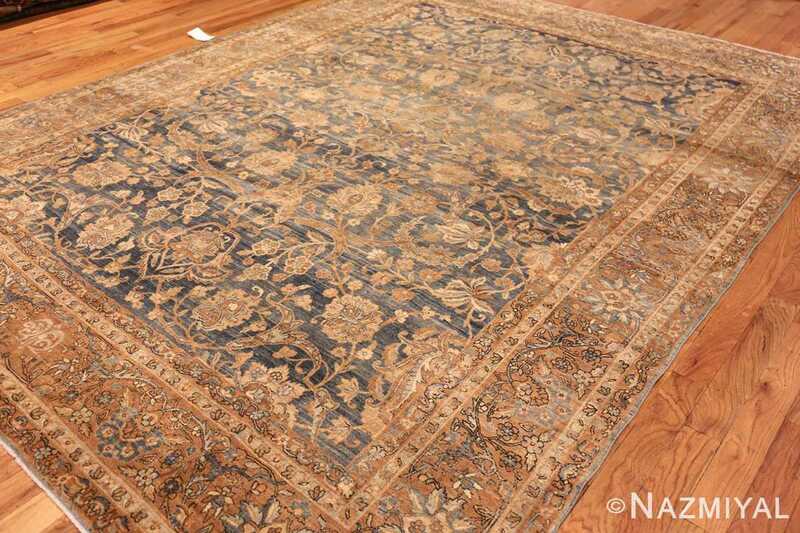 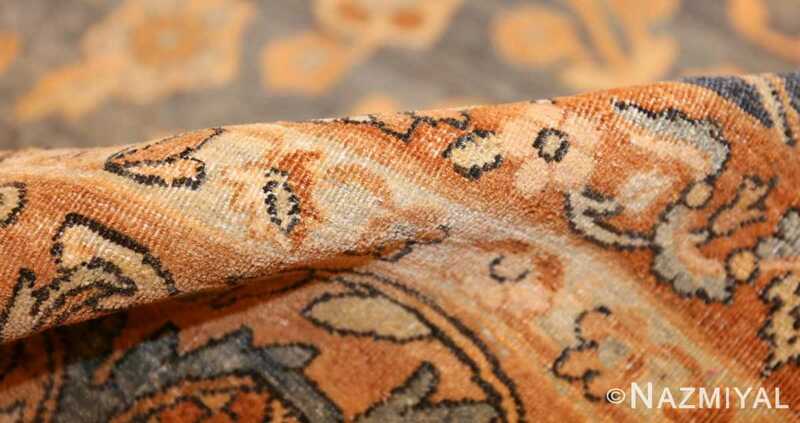 A truly beautiful composition, this antique Kerman Persian carpet is a lovely example.